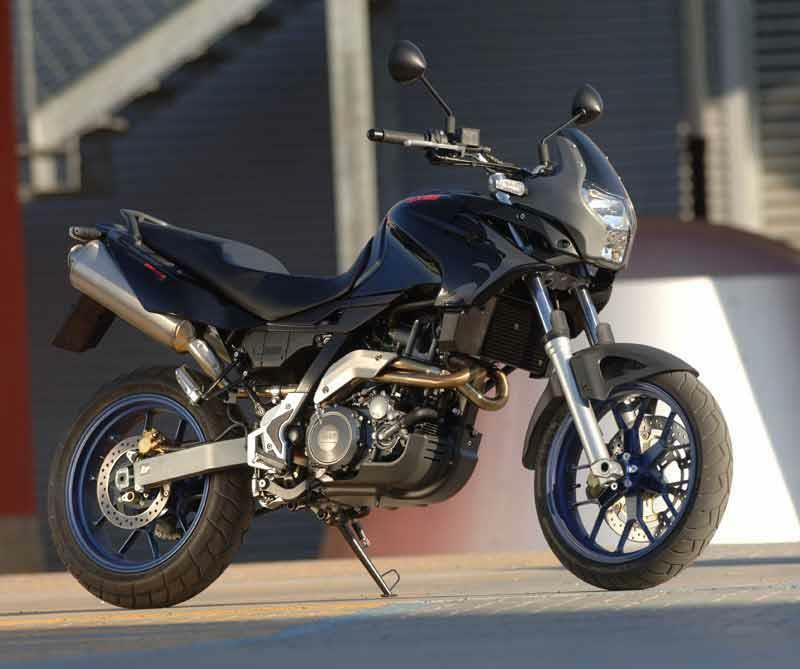 The Aprilia Pegaso 650 is a stylish street motorcycle that’s more supermoto than its traillie-esque predecessors. Easy to ride and with great handling, it’s an ideal motorcycle for newbies and, with its lower seat option, smaller riders too. Shame the Aprilia Pegaso 650 has snatchy fuel injection but it sure looks great. 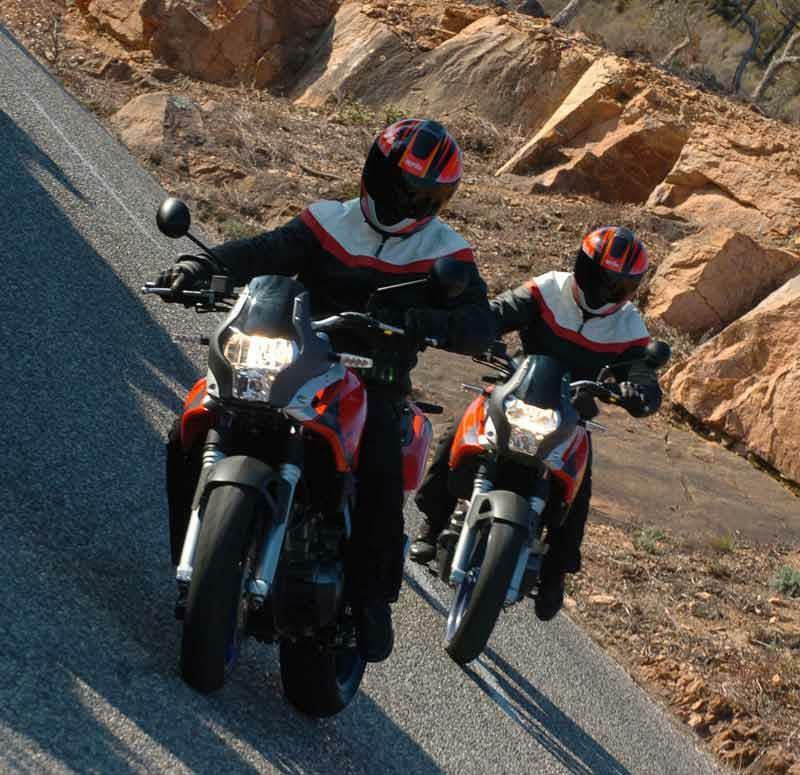 With an upright, commanding seating position, excellent Brembo brakes and wonderfully light handling, the Aprilia Pegaso Strada provides no end of frisky fun. Even thundering down the motorway, the motorcycle holds its own (although expect a few vibes through the bars). Prone to missing neutral on occasion and the standard screen’s useless. 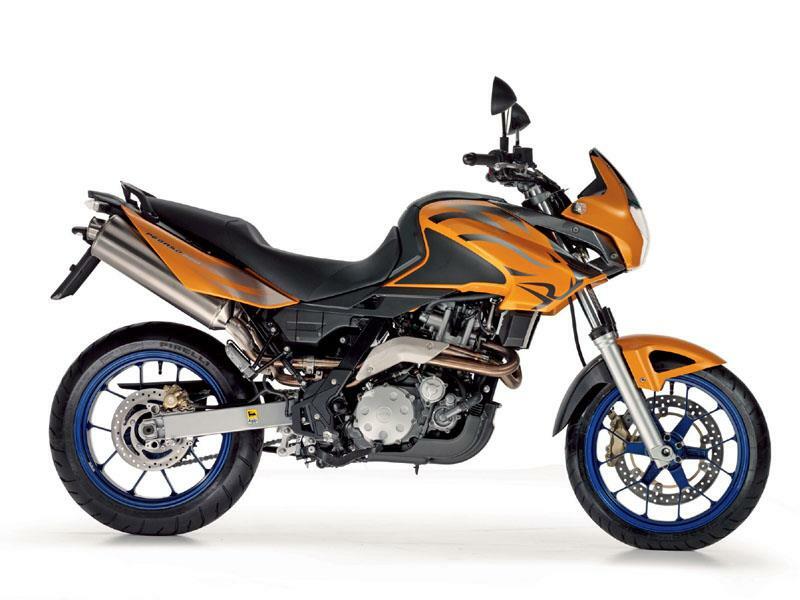 The same liquid-cooled, four stroke single in the Aprilia Pegaso 650 fires the Yamaha XT660X and the Yamaha MT-03, so this highly-respected single does the job. There’s no shortage of oomph but the jumpy fuel injection lets this motorcycle down, especially around town where it should shine. The Aprilia Pegaso 650 is a buzzy and sporty motorcycle at higher speeds, but the Aprilia Pegaso 650 makes back roads huge fun, however. Nothing major to report but Aprilia Pegasos in earlier incarnations have been popular for donkey’s years so the outlook’s promising. Yamaha’s proven XT660 engine just keeps on going. 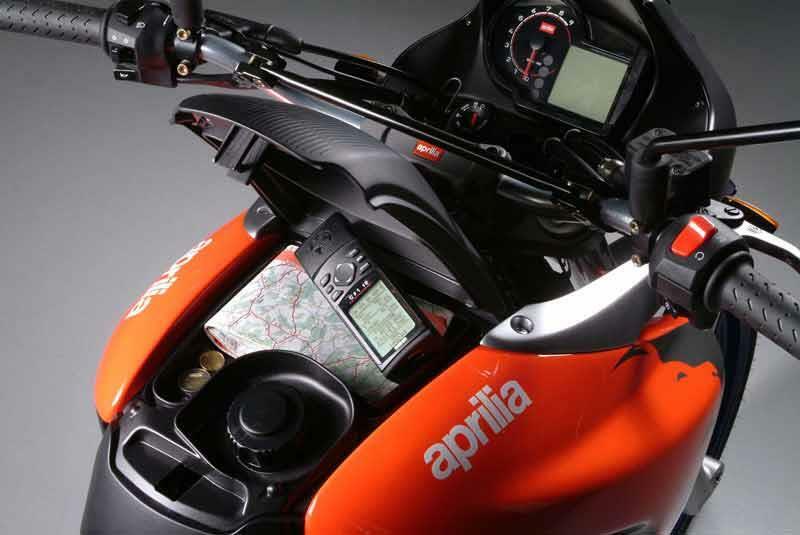 If anything does give out on the newer model Aprilia Pegaso 650, it’ll probably be all that gadgetry on the dash. 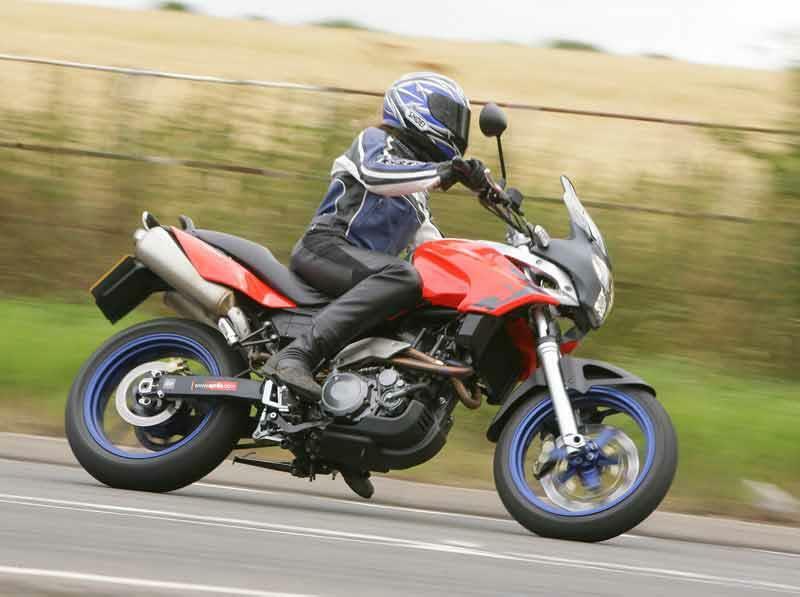 Costing around £5000, in a low insurance group and with high mpg figures, the Aprilia Pegaso Strada’s a good, affordable motorcycle. Consider fitting a Power Commander (from around £300) to sort out the jerky injection and it’s still a pretty shrewd buy. 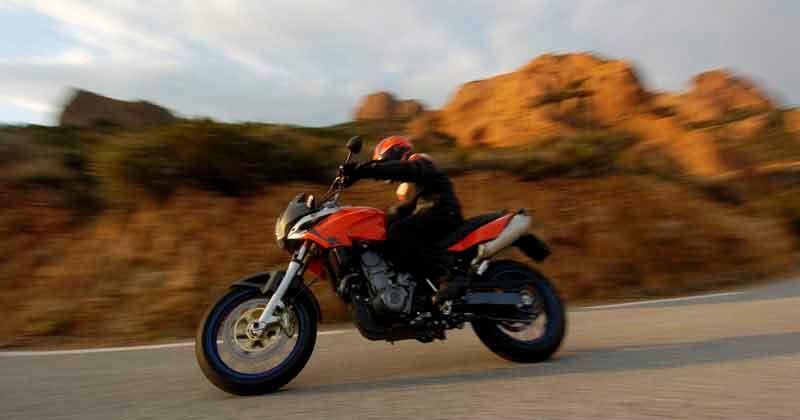 BMW’s F650GS and Ducati’s Multistrada 620 motorcycles both come in costing more. 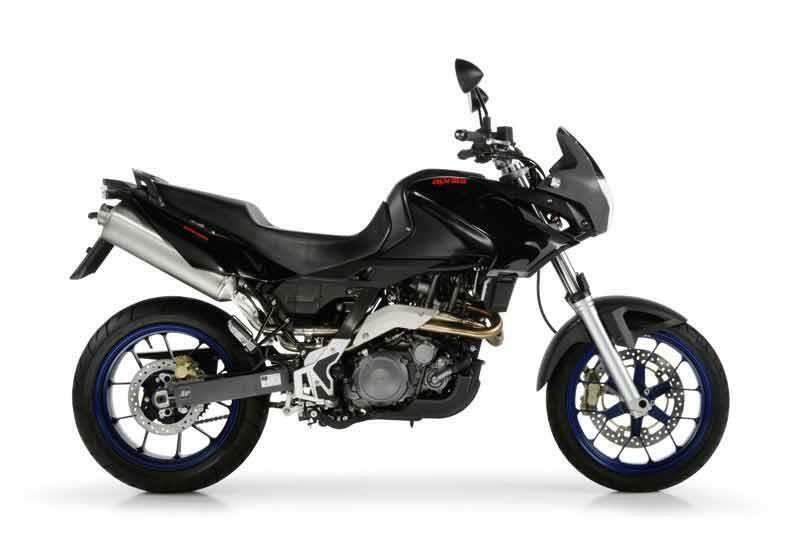 Find an Aprilia Pegaso for sale. The Aprilia Pegaso 650 has a funky glove compartment on top of the fuel tank (also housing the filler cap) plus decent underseat storage. 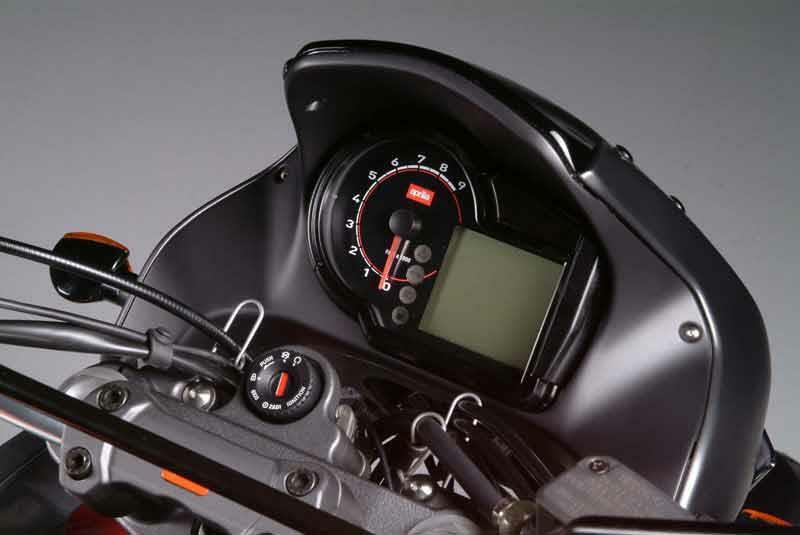 There’s also an impressive, hi-tech dash which tells you everything from lap times to the state of your motorcycle's battery in a number of different languages. The Aprilia Pegaso 650 comes with a fuel gauge too. Extras include a higher seat (820mm), luggage and an adjustable screen. Compare and buy parts for the Aprila Pegaso in the MCN Shop. 1993: Original Aprilia Pegaso 600 introduced, taking over where the earlier Aprilia Tuareg 600 left off. 1997: Overhaul of original Aprilia Pegaso 600, including USD forks, new frame, 2-1-2 exhaust and bodywork. 2001: Updated brakes and suspension. Electronic fuel injection introduced. 2005: All new Aprilia Pegaso 650. 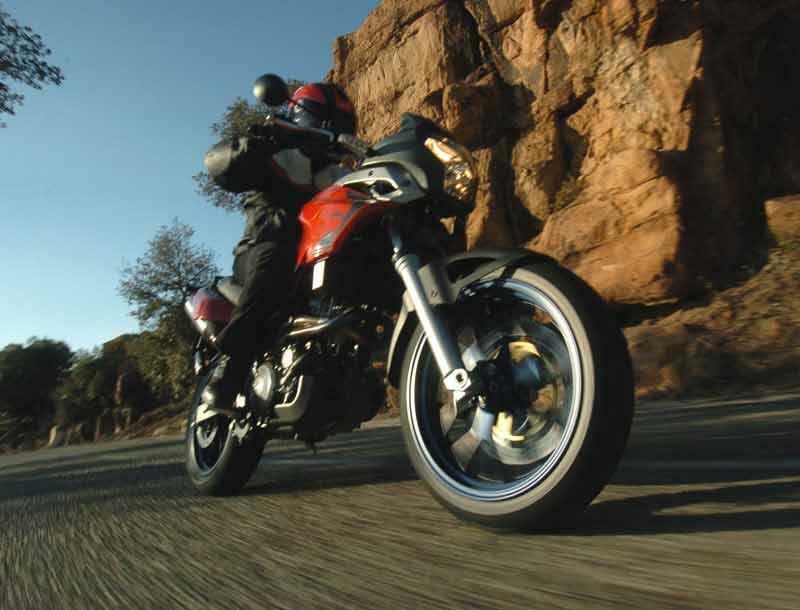 Aprilia Pegaso 650 (1997 – 2004): long-running, highly-respected, dual purpose motorcycle. 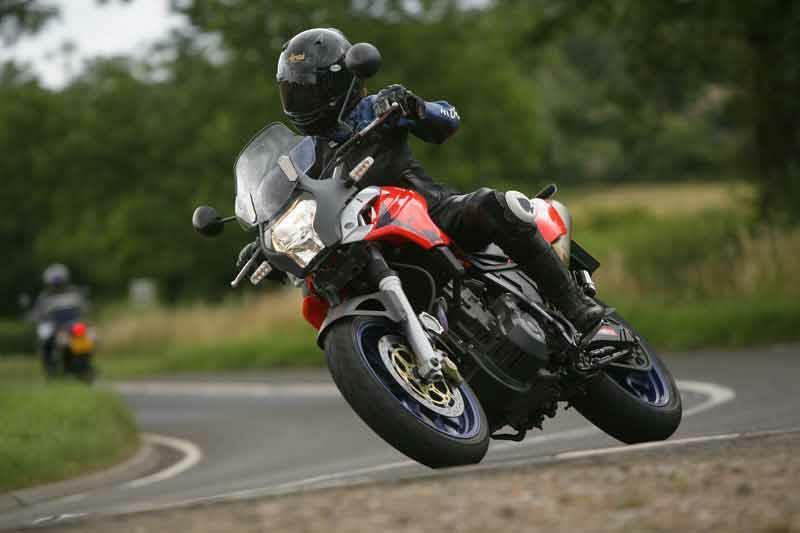 On-going tweaks have kept it in touch with (and often ahead of)opposition motorcycles in road tests. The looks aren’t ageing too well though. 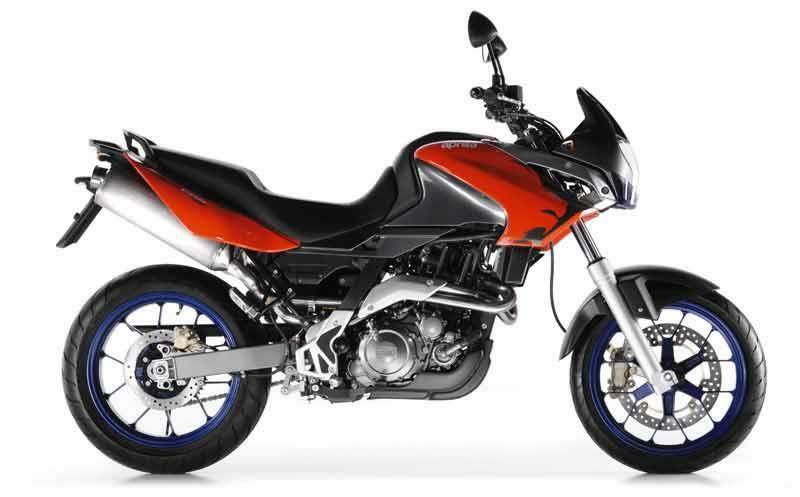 Aprilia Pegaso 650 Trail: off-road motorcycle with higher seat, more ground clearance, more suspension travel, spoked aluminium wheels and slightly different geometry & brakes. 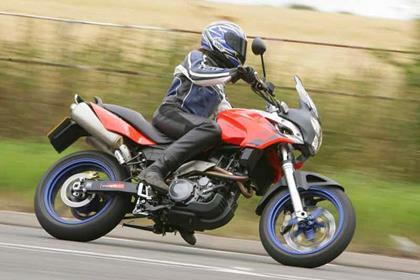 15 owners have reviewed their APRILIA PEGASO 650 (1997-2009) and rated it in a number of areas. Read what they have to say and what they like and dislike about the bike below. i love this bike it's great fun on the twisty back roads, and comfy on the motorways, my nephew has one and he thinks it's great, the only thing i can comment on is the snatchy fuel injection but other than that it has the grin factor. is at it's best all round, i can ride this bike for nearly 200 miles i don't need the rest just fuel, brakes are good. As it's my first big bike, I don't have anything to compare it against, but I love it! The snatchy fuel injection was awkward to start but I soon learnt to deal with it. 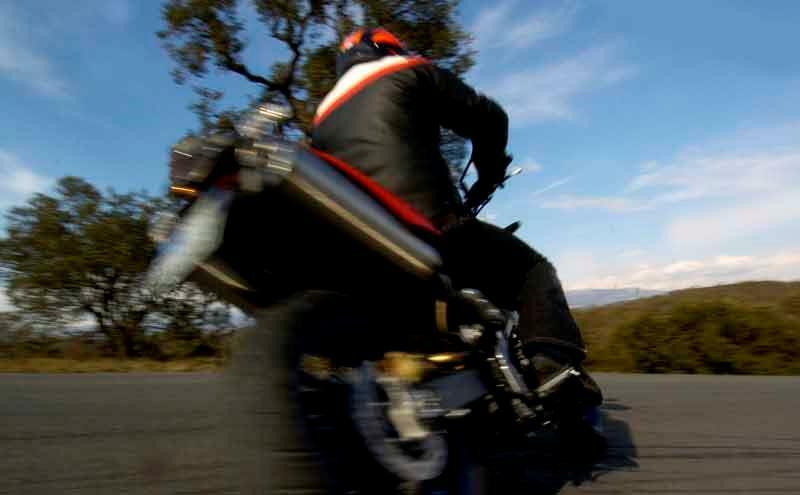 Good clutch and throttle control eliminates the problem. Great amount of torque and enough top end for any UK roads. Good in town, great on the twisties but also sits beautifully at 70-80 on the motorway. Very comfortable seat and riding position. Biggest negative is ALOT of vibration in the bars. However I swapped the factory ones for renthal ones, added internal weights,bar end weights and a bar brace and it's almost neutralised the vibration. I did a 3 hour ride with no problems where as before, after 20 minutes my fingers were numb and my Hands very painful. I fitted full arrow exhaust as the standard one was very quiet with a horrible tinny rattle. Overall it's a fantastic bike that new riders will love and develop their skills and experienced riders will love to throw around. Screen and exhaust are a must! It's my first big bike and I have only had it 3 months. It is so easy to ride, even with the snatchy fuel. Feels very good in the wet or dry. Handles great on bends. I could say that 1st gear is clunky to engage when cold. But hey no bike is perfect is it? EVERY TIME I think how am I going to get to work... I THINK BIKE and take it. I've still got another 100 miles before she's run in. Can't wait to open her up stuck at 5500rpm for now. Woohoo. Roll on the summer of love of two wheels. Ho and the looks, NICE... comfy moto I call it. PS I'm a shorty too. After 8000 miles over the past 18 months, I still have a grin every time I ride this bike. After several in-line 4's then a V-twin VTR Honda I am down to a big thumper. It is a great city bike which I ride in London traffic daily. The Yamaha engine is a torque monster. Of course any single runs out of steam on the top end but that is not what this bike is about. At the upper end you get some vibs but not off putting. I like the connection with the engine or I would have bought a Gold Wing! Fit and finish are excellent. I leave this bike out all day at work and put it to bed at night with a high quality cover. I don't cover it when it is wet as the heat would only encourage corrosion. That said there is not a single spot of rust. The fasteners are high quality stainless or alloy. The seat is one of the most comfortable I have owned. My wife and I have taken several weekend trips to the coast or the Peaks and have been surprised as how easy it is for us to ride a small bike, two-up. My only issue has been a broken spring on the lid that covers the gas filler and glove box. I could not recommend it more strongly. After an accident in 2005 and five months off work I rode an sv 650 for the next four and a half years, and was a great tool for me.Went through four winters and is still going strong and is in well above average condition.But I needed a more upright rideing position and the pegaso fits the bill perfectly, comfy seat, fantastic handleing,and great looks.I have made a couple of changes high level seat which is more pillion friendly,k@n filter and titanium acrapovics which is more neighbour unfriendly,but was essential when a girl who lives in my village started takeing the piss claiming her c 90 sounded more powerful.One problem that I find a bit annoying is that the last service I had done was not with an aprilia dealer.So when the sevice was completed the bike shop that carried out the work needed to reset the computer to delete the service icon but aprilia would not release the code even though my bike was out of warranty. (any body out there who could help? ).But all in all very happy so far,dont know how the finish will react to the salty winter roads because it will be the first one that this particular strada has faced even though it is 3 years old. I own a 1998 pegaso3 on an r plate in the eighteen months i have owned it she has been off the road for 12 months. Has suffered lots of different problems the latest a back fire followed by refusal to start this has betten all atempts by proffesionals. In conclution a real pup give them a real miss as you may throw some serious money away as parts are very expensive and hard to get. Take a good look at the exhaust as they hole on the bend at the back of the battery box this then in turn melts as its plastic and burns a hole in a very expensive battery on the plus side your bum gets real warm good in winter so long as you dont catch fire that is. Iam so sorry to have wasted £1200 hard earnsd quid if you need more proof check out their web site at yahoo groups loads of probs on there. I'd sold my ZX6R a few years ago as I was heading for serious points or worse.... The M60 commute drove me back on to two wheels and I bought the Strada just for that reason. 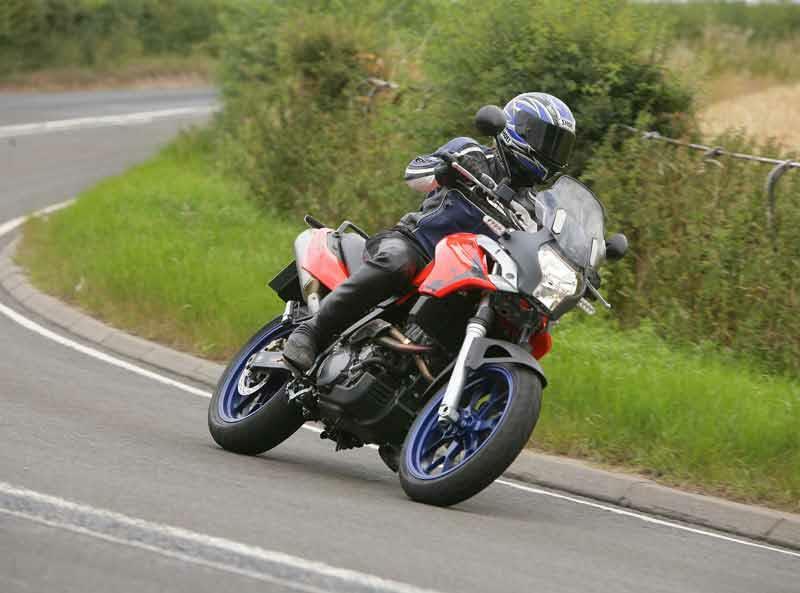 It has proved to be much more than a commuter, having enough low-down grunt to entertain on the best roads in the north west, superb brakes, flickable handling, fantastic manoeuverabiity through traffic and a really comfortable riding position. It looks great too - I've never pulled up at Rivvy Barn or Devils Bridge and seen another as yet either...Much better than a sports bike! I picked up a second hand Trail version of the 06 Pegaso. Superb bike. Never had any of the "stuttering" problems in mine; excellent fuel economy; starts first time every time; great fun to ride and very comfortable. Difficult to fault. I bought it to do some long range touring on, so a bigger fuel tank would have been nice. It can also be difficult to get the range of after-market bits that are available for say, a BMW. On the plus side though, it's not a BMW! The Pegaso is an all round excellent bike. Deserves to be far more popular than it is. Try one. Brilliant bike - get one! I bought this to replace my ER6f and it's ten times more fun. Great to throw around. Confidence inducing. Fantastic engine for a single. Whack in a Power Commander and this bike is phenominal value for money. Aprilia even manage to supply parts quickly now and i have heard they even allow warranty repairs! I'm emigrating to Guatemala and have to sell mine - I genuinely hope to pick another one up when I get there. Oh, forgot to say it's great up to 90mph and around towns. Top speed is 100mph but a bit of windblast at that speed. Get one and enjoy! I was looking for an all-rounder with an upright, relaxed riding position. I didn't want to stretch forward like on a V-Strom. 90% of my riding is in heavy city traffic and I have to get on and off the bike a lot in a day. That eliminated my first choice Kawasaki Versys because it's just too tall for that. The other 10% of my riding is for fun rides out of the city and I want some power. The Strada is ridiculously easy to ride, not intimidating at all. It would make a great beginner's bike. It handles snappily like a small bike, but has the big 660 engine. Hard to believe how different it feels from a Yamaha XT (too torquey for traffic) which uses the same motor. This is a well-thought out bike. I am very pleased. The front glove box is genius, the LCD display is nicely laid out and fully functioned (the BMW F650GS, by comparison, for 2000 euros more doesn't even give you a gas gauge), the seat is comfy, though a trifle narrow, and the bike is comfortably low enough to put your feet flat on the ground. The brakes are great. It has integrated bungee hooks. People keep stopping to ask about and admire the bike. It's a good-looking, good-sounding machine. A few minor negatives: I'd like 1st and 2nd gears to stretch a little farther, the bike could be a tad bit taller for less bend in the knee, and, as others point out, it's a bit rough around 3000 rpm. Also, Aprilia put a chirpy scooter horn on the bike. I am going to replace that ASAP. A true lightweight super single - leader in its class! Mine bought with 8500 on the clock. Condition was like new, testament to the build quality. I'm told the silencers are the achilles heel and are very expensive to replace, check these out before buying! Not as vibey as you might expect, keep under 85 and it really is not bad at all. Mine has taller Givi screen,it looks better than the standard and is very effective. Economy 50mpg average. Strengths: Build, handling, except when pressing very hard, and ride comfort i.e. high set with straight back. Weaknesses: Front brakes can occasionally make you wish they were more powerful or double discs. Spark plug change is difficult. Demands precise gear use, unforgiving with frequent changes then! Oh, seat needs better padding, giving a sore botty after less than 50 miles. 2001 ie model showing 18.5k owned for 2 weeks. Fuel economy 50-60mpg = 200/270 miles range, light, torquey, sustainable top speed probably 90,comfortable up to 80, practical (mine has Givi screen and racks). Fun to ride locally, good mirrors and great riding stance but after a 12 hour 350 mile day out I know why trials riders stand up a lot! Quality seems good, great round the lanes and A roads, not really a motorway bike. Excellent for filtering and quite stable. Corners reasonably well. Lots of sensible ideas BMW could copy. Strengths: Good all rounder,economy & range, very practical & versatile, not too narrowly focussed. Weaknesses: Saddle comfort - lack of ! - its only really bad fault.